Businesses and developers are being invited to bid for a share of a multi million pound fund aimed at helping the North East deliver more and better jobs through economic growth. The North Eastern Local Enterprise Partnership (LEP) is seeking Expressions of Interest on behalf of projects for its North East Investment Fund. 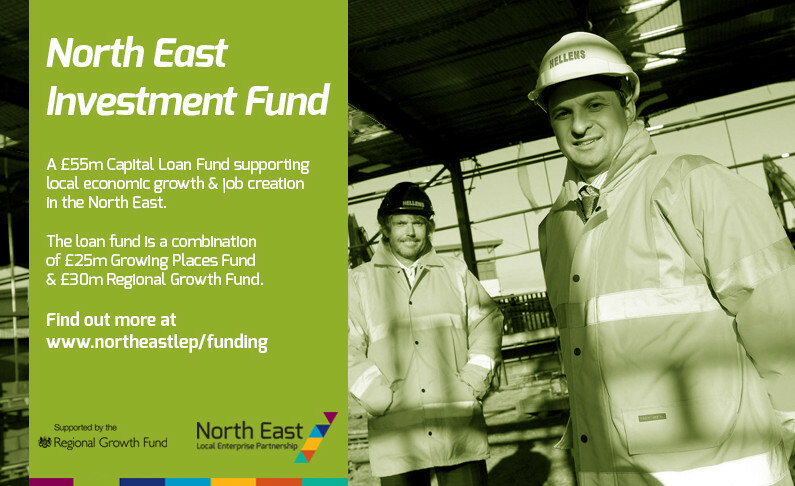 The North East Investment Fund is a Capital Loan Fund supporting projects that specifically encourage local economic growth and create jobs in our area. The recycling loan fund totals £55m and is a combination of £25m Growing Places funding and £30m Regional Growth Fund. Applications for funding are evaluated on certain key criteria. The Fund welcomes all funding options, but will prioritise those that offer repayment or refinancing to ensure the long term sustainability of the Fund. Further details about the North East Investment Fund its key criteria and application process can be found here. Sunderland City Council will undertake the Accountable Body role for the fund. Applicant must meet the selection criteria and complete the business case using the guidance notes provided below. There is a single business case application form for the North East Investment Fund. If the business case meets the selection criteria, the North East Local Enterprise Partnership will determine which funding stream is most appropriate for further consideration and appraisal. The NELEP Investment Panel will consider proposals and make recommendations to the NELEP Board for final decision. The call will remain ‘open’ and proposals will be considered at the next available Investment Panel following appraisal. The 2014 Investment Panel dates are listed below. These dates may change in exceptional circumstances. • Strengthening transport, connectivity and infrastructure. Specific proposals would also be welcome on the basis that they support the NELEP in achieving its ambition of delivering a successful NELEP Enterprise Zone or stimulating stalled regeneration and housing activity in order to deliver a quick return on investment. In assessing strategic economic fit, due consideration will be given to the capability of the investment to act as catalyst for unlocking further local and/or strategic economic growth.